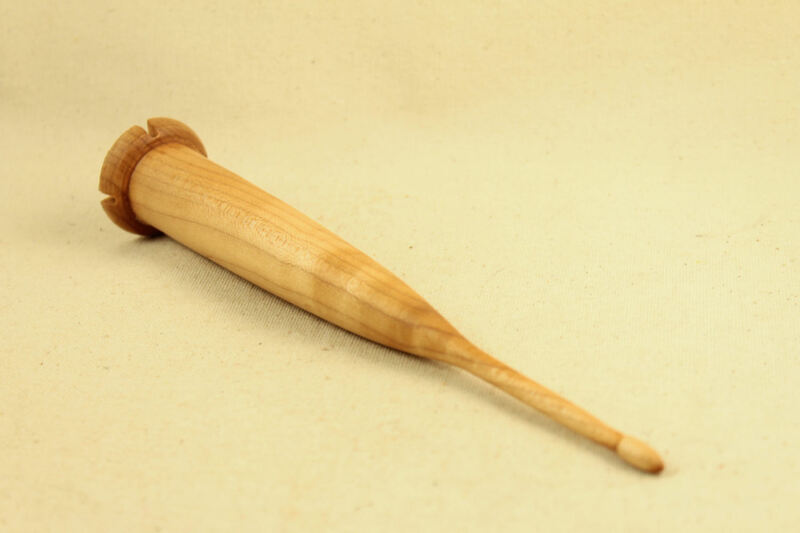 This is my take on a Scottish style drop spindle. 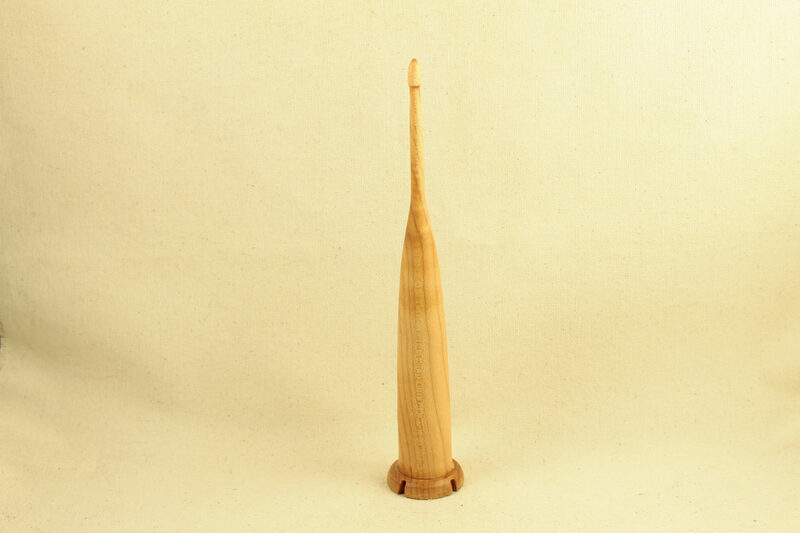 This spindle is wound like a nostepinne and the yarn is secured by running the spun single through the notches on the bottom before securing with a half hitch on the top. 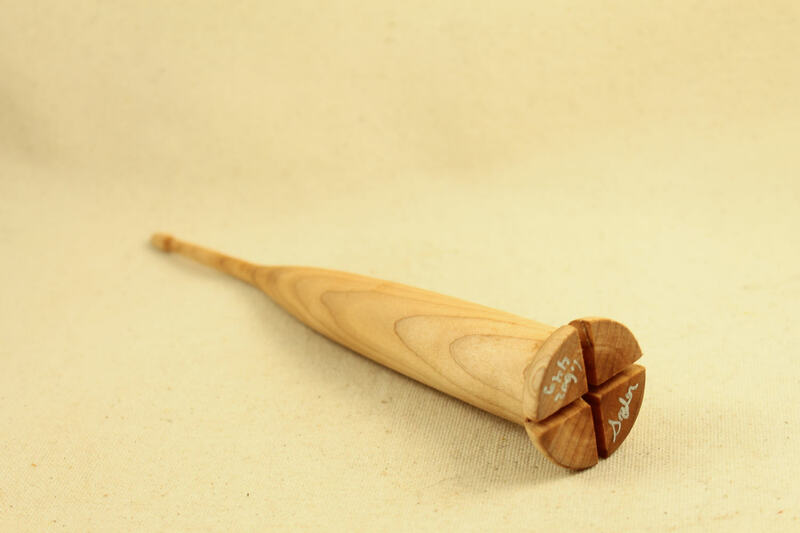 I've added a small bell shape on the bottom, This puts the notch not only on the bottom but also the side. This makes the notch easier to find and reduces if not eliminates the single from slipping out of the notch when bringing the single to the top to make the 1/2 hitch. It's a simple little thing but works. As seen in Spin Off magazine. 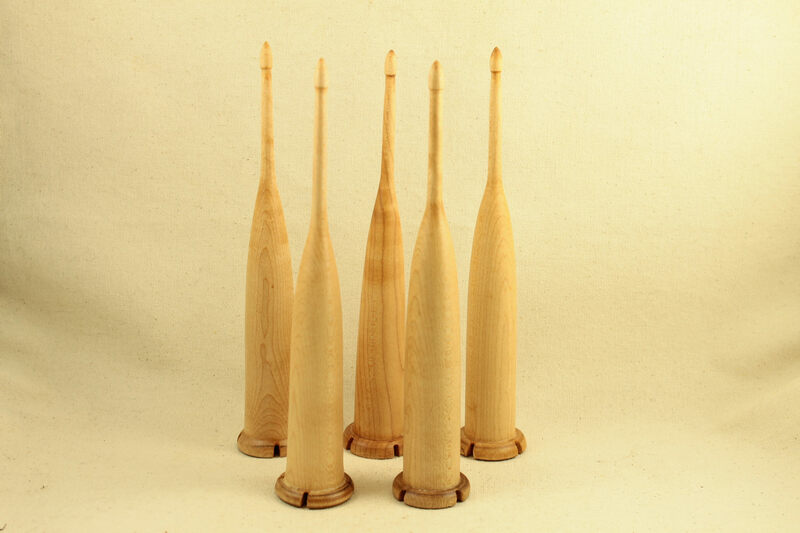 These spindles also work great as a nostepinne.